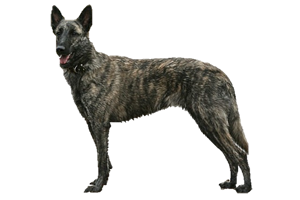 The Shorthaired Dutch Shepherd has been herding sheep in Holland since at least the 18th century. It is one of three different varieties (not breeds), the other two being the Wirehaired and Longhaired, which were divided at the end of the 20th century. All types were decimated after WWII and although breeding continued afterward there was a need to diversify the breeding pool. Some unknown dogs were used, but the German Shepherd and Belgian Sheepdogs (specifically the Malinois) are both close relatives and were likely used to revitalize the Shorthaired. Today this is the most popular of the three and is the most well known outside of Holland. Is the Shorthaired Dutch Shepherd Right for You?